Magnet bottle opener from HRC Bejing. 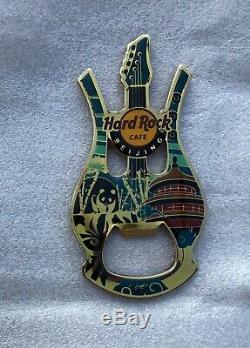 The item "Hard Rock Cafe BEIJING Harp/Guitar Magnet Bottle Opener HTF" is in sale since Saturday, March 16, 2019. This item is in the category "Entertainment Memorabilia\Music Memorabilia\Rock & Pop\Artists H\Hard Rock Café\Pins". The seller is "goflyn" and is located in Port Orange, Florida. This item can be shipped worldwide.